Great Wines deserve Great Food! 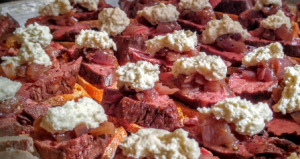 With a private tasting with Lange Estates Winery, Executive Chef Tamara developed a custom menu to pair perfectly with the selection of wines offered at their Grand Cru Club Spring Soiree. All food was prepared in our commercial kitchen and finished on-site by our chef team for the ultimate in catered food quality. The first pairing was with inaugural bottling of the Lange Estate 2013 Chardonnay. 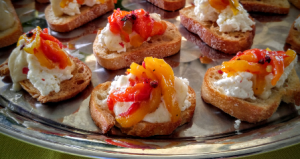 Chef Tamara paired this wine with our Alderwood Smoked Peppers on our chef-made Riccotta Cheese served on a Garlic Aioli Toast with freshly cracked Pink Peppercorns. 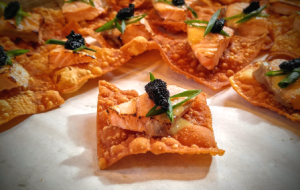 Lange Estate’s 2015 Rose of Pinot Noir was paired with our Seared Wild Salmon Bite on a crisp Wonton Canape with a Citrus-Miso Sauce and Black Tobiko garnish. For freshness and premium quality, the rare salmon bite was chef seared on-site by Chef Tamara. 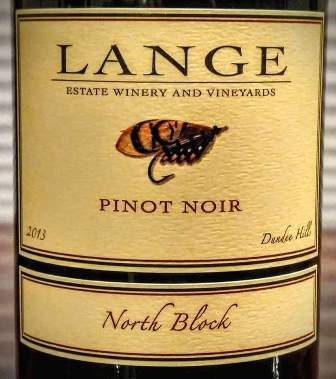 For the Lange Estate 2013 Estate Pinot Noir, Chef Tamara selected our sliced Cascade Natural Beef Hanger Steak which we sous vide cooked for 1.5 hours until medium rare and very tender. 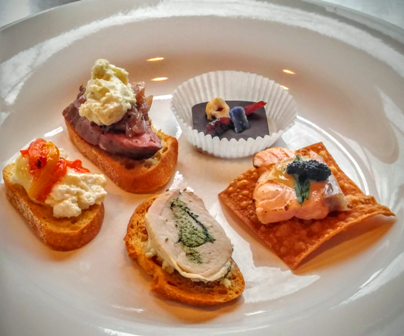 We served it on a crisp Crostini with Caramelized Red Onions and a modernist Gorgonzola Foam. Chef Tamara’s gourmet Porchetta made with premium Pork Tenderloin filled with fresh rosemary and parsley and sliced thick was paired with the 2013 Redside Pinot Noir. 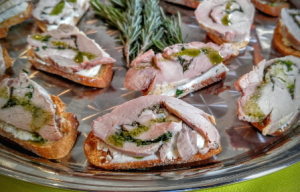 The toast was spread with a Truffled Marscarpone Cheese and then drizzled with fresh Rosemary Oil. 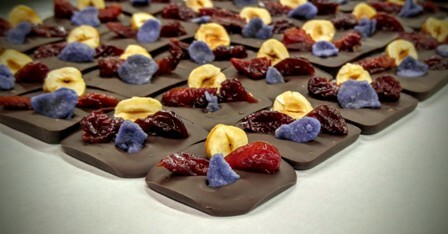 Inspired by the sweet Mendiants Chef Tamara enjoyed in Provence France during the Christmas Holidays, her Bittersweet Chocolate Palettes with dried cherries, Oregon hazelnuts, and candied violet flowers were created to pair with the 2013 North Block Pinot Noir wine of Lange Estate Winery. 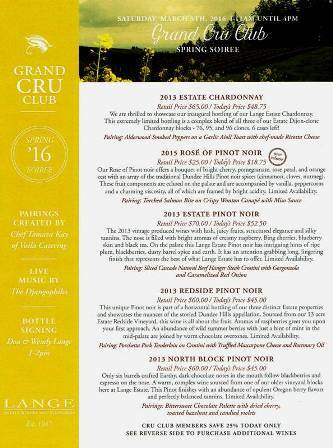 These food and wine pairings were quickly devoured by the thrilled Grand Cru Club Members. Great Wines deserve Great Foods! Contact Chef Tamara at events@voila-catering.com to create a custom menu just for your valued guests and great wines!